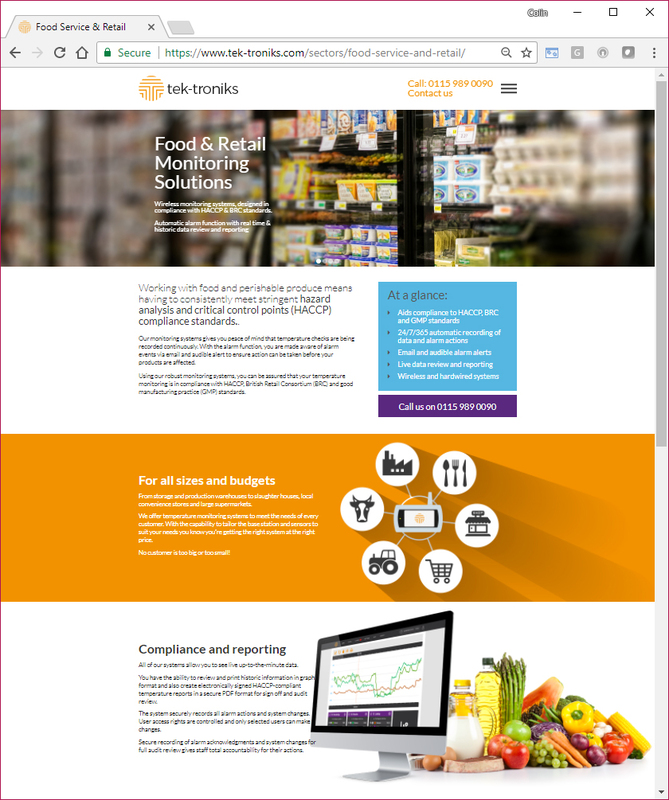 Fish Media has produced a new website for Nottingham based monitoring and refrigeration control systems specialists Tek Troniks. 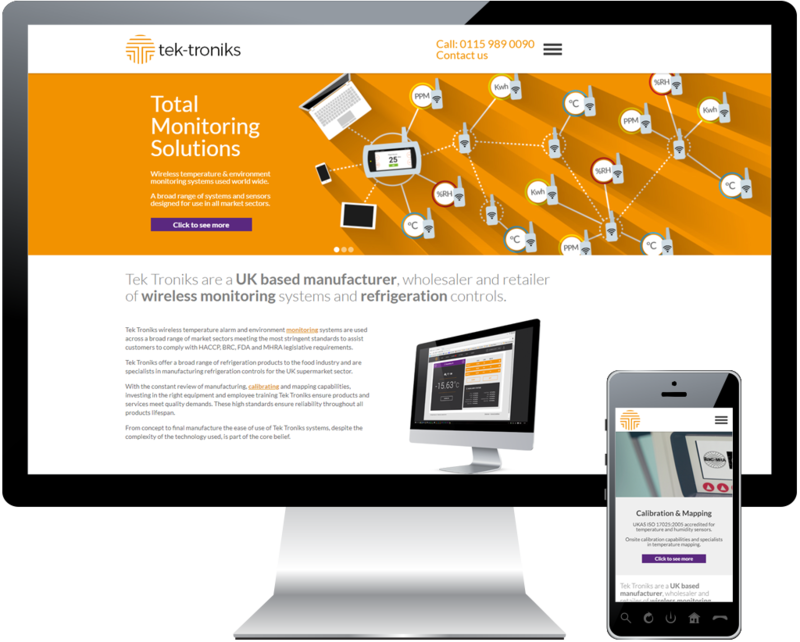 As part of a re-brand project by Hill Langdell, the brief was to produce a website that provides visitors with clear information about Tek Tronik’s wireless temperature & environment monitoring systems. In addition, Tek Troniks wanted to include audience specific pages that help explain how their solutions can help their key target sectors. The new website has been built on our custom Content Management System and has a responsive interface to ensure that it provides the optimum experience across mobile and tablet devices. Parallax techniques have been employed to enhance the user experience and the sector pages are features and benefits structured with prominent calls to action to encourage engagement and help drive enquiries.